1876 Indian head penny value is $26 to $30 minimum. It’s a relatively high price for a heavily worn coin. It reflects how scarce these 1870s pennies are. Despite millions minted the number of 1876 pennies with us today is only a fraction of the original number. Most were completely worn to almost smooth, coins with a large amount of design detail remaining are scarce. Your coin’s surface, if better than just a flat portrait in outline, is considered above average. 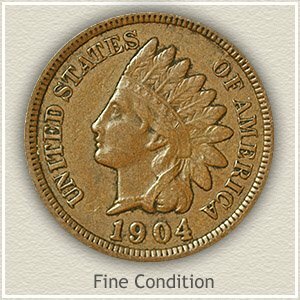 Collectors are looking to place Indian pennies with at least some feather and hair detail into collections. Pictured is a rare 1876 Indian penny that never circulated and didn’t receive any wear to its surface. Coins of this quality are priced into the hundreds of dollars. 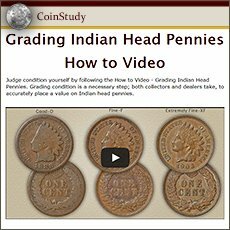 Worth more than a passing glance, careful examination is needed to find an accurate 1876 Indian head penny value. See the section on grading the condition of your old pennies, images highlight the different stages of wear and value. Original luster radiating a bright gold and yellow has combined to enhance this 1876 penny with gem quality eye appeal. One other subtle feature, an unusually bold strike, is also helping to set this coin apart. Next is the remarkable condition of the surfaces. The usual marks, nicks and scuffs most old coins have suffered are lacking. Many advanced Indian penny collectors build date sets of these rare quality coins. Growing demand searching for rarely available coins pushes premiums higher. 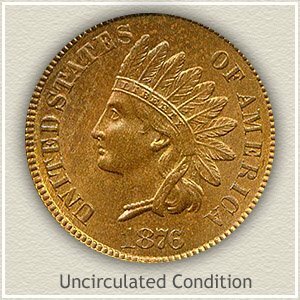 Offered at a David Lawrence rare coin auction, bidding placed the value of a rare 1876 Indian penny at $632. A remarkable coin and a nice addition to any collection. These old pennies remain popular and enjoy steady demand and value. Important to your coin’s value is its condition. Coins are "graded" by the amount of wear they have endured. You can get an idea of your coin’s condition and grade by comparing to the images and descriptions. Better condition coins along with higher values are in greater demand. 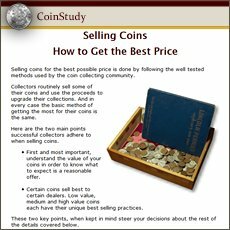 Selling a high grade coin for a strong price is likely. Uncirculated: Desirable because no wear is found on the surfaces. This penny despite its age is in like new condition. Toning may appear as a dark redness and brown, however no parts of the design have been worn from contact. With a magnifying glass examine her cheek and the tips of the feathers for wear. Minting imparts a certain grain to the surfaces of coins, wear can appear as a somewhat glossy or smooth area and sometimes with dullness to the area. Extremely Fine: Although a small amount of metal has worn from the 1876 penny pictured however it is still very sharp and crisp in appearance. Important is a readable "Liberty" within the headband. Her cheek remains well rounded as does the hair detail on the neck and near her eye. Clear separation of all design elements is necessary to reach the extremely fine grade. 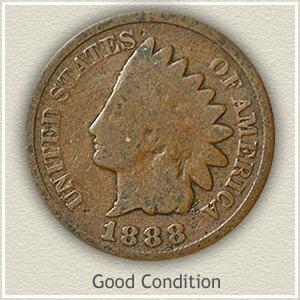 Fine: As a collectible coin, 1876 Indian head penny value is generally double a lesser grade example. Moderate with ample detail remaining is the appearance of a "fine" grade penny. Wear has reduced the highest details considerably but not to the point of merging one into the other. The ribbon behind her neck is still separated from the hair, although worn smooth as it crosses. Her forehead is fully detailed and apart from the headband. The headband despite obvious wear still portrays "Liberty." Good: Heavy wear has reduced the portrait to almost a flat silhouette. The headband and hair above the eye are no longer separated, hair curls along her neck and ribbon have merged. Despite its worn appearance Indian head pennies from the 1870s in "good" condition are very popular. $1 to 2 dollars for common dates. 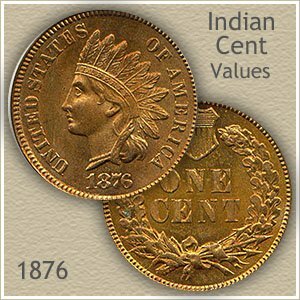 With many advanced collectors pursuing Indian pennies the rare dates along with your 1876 Indian head penny value are moving higher. As always better condition coins are especially sought. Today your box of old coins has never been more valuable.